The Queen of Mystery has come to Harper Collins! Agatha Christie, the acknowledged mistress of suspense—creator of indomitable sleuth Miss Marple, meticulous Belgian detective Hercule Poirot, and so many other unforgettable characters—brings her entire oeuvre of ingenious whodunits, locked room mysteries, and perplexing puzzles to Harper Paperbacks. 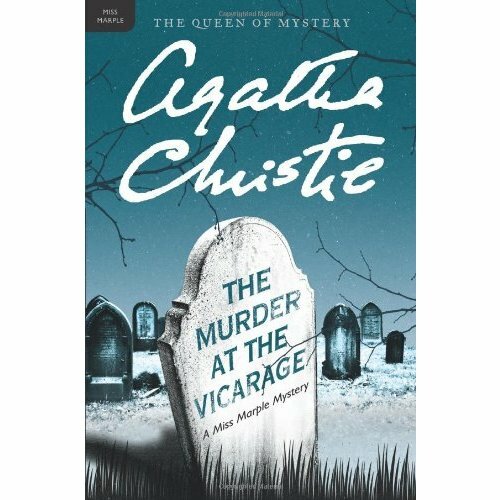 The Murder at the Vicarage was Christie’s very first mystery to feature her most popular investigator—as a dead body in a clergyman’s study proves to Miss Marple that no place, holy or otherwise, is a sanctuary from homicide.